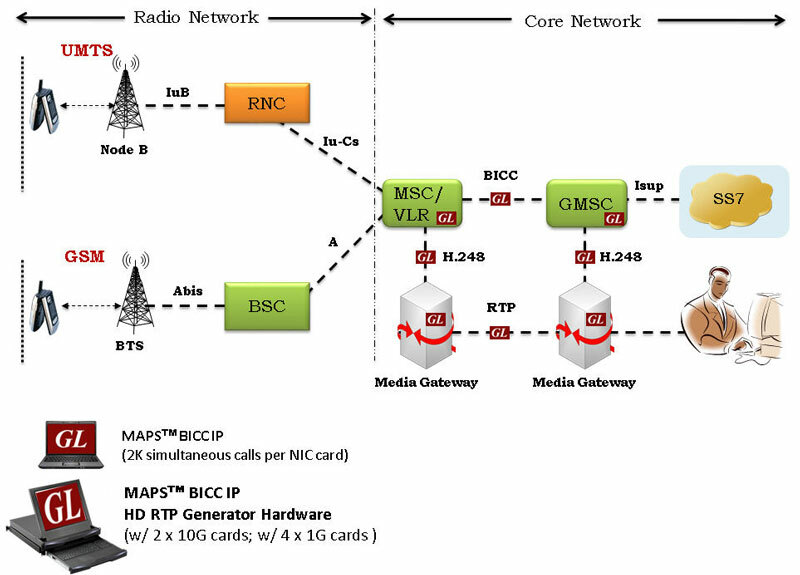 Gaithersburg, Maryland, USA – January 15, 2013- GL Communications Inc announced today its latest product MAPS™ BICC IP Emulator - Scripted Bearer Independent Call Control Protocol Emulation over IP. He added, “MAPS™ BICC IP Emulator is used to emulate all the BICC interfaces over both TDM and IP. It is designed to specifically emulate BICC call control signaling as defined by ITU-T standards between Mobile Switching Center (MSC) and Gateway MSC (GMSC) server nodes.